Previously scheduled to release on November 27th, the Nike Air Foamposite One "Hologram" now has a new release date. The sneaker features a iridescent upper with black and metallic silver accents on the tongue, heel, and midsole. The sneaker also features a translucent outsole. 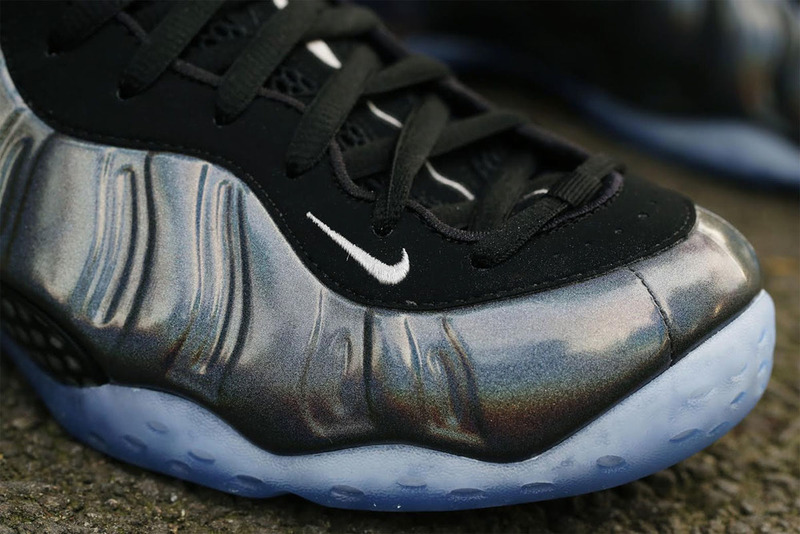 The Nike Air Foamposite One "Hologram" is expected to hit retailers 2 days before Black Friday on November 25th, 2015. Retail will be $230. Stay tuned with SneakerShouts for more up to date info as the release date gets closer!